Whether it be a major flood or your bathtub overflowed and your floors suffered a minor one, here are simple tips for you to follow to prevent mold from developing. Just about everyone knows how problematic a flood can be. You have to worry about the germs and harmful toxins that a storm flood brings to your home, and then you have to deal with your home insurance after cataloguing the damage with videos taken on your smartphone. Even a basement flood due to leaky pipes can be disastrous because regardless of the cause, you will have to deal with mold growth in your home. 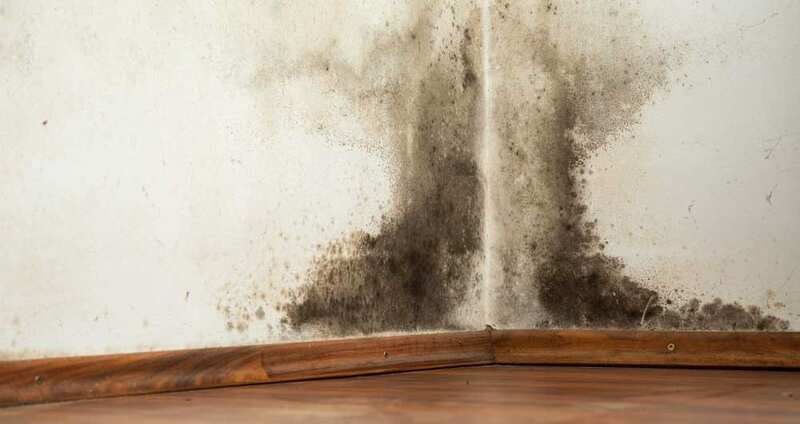 The good news is that after this litany of disasters, there are actually steps you can take to prevent the onset of mold. So if you’ve suffered through a flood and then dealt with your insurance, here are the steps you still need to take so mold doesn’t become a problem. It would be best if somebody is also taking videos of the entire process to give to your insurance provider. This is an absolutely necessary measure, because no one in their right minds wants to be electrocuted. You can do this by knowing beforehand where your main electrical panel is, and then you can flip off the main circuit breakers. Hopefully these are labeled, but in general you’ll see a pair of these at the top of the panel. You should do this after you’ve gotten the OK from your insurance provider, because they will want to know the real extent of the damage first. When it’s okay, you can now open your doors and windows to boost the circulation. You can run a fan or even use (or rent) industrial dehumidifiers and fans to speed things up. If you have standing water, such as a flood in the basement, you may have to first use a gas-powered water pump to get the high water out. There will likely to be some standing water left, but this will let you into the basement so you can get your sump pump going. Your alternative is to use a wet/dry vacuum cleaner, though you need to take out the filter first so it doesn’t get ruined. You need to do this quickly, because you’re on a time limit. After 48 hours, you’ll have mold problems. So it’s best if you can have family, friends, and neighbors helping out to haul your boxes of stuff as well as your furniture and appliances. Don’t forget the carpet if they got wet. Put them in a dry place like your garage or even your driveway. You can use warm soapy for water this, though if you can be very careful you can use ¼ cup of bleach with a gallon of hot water. Don’t forget to wear gloves. Clean the walls and floors and make you scrub down thoroughly to get rid of the grime and the dirt. For this, you really need to use fans and dehumidifiers. The most effective option is to use industrial fans, but even renting then can be rather expensive. So if your budget can’t accommodate that option you’ll have to do with your regular fans. The moisture can move to the air, and to get rid of that moisture you’ll need dehumidifiers. Just change your dehumidifier pans regularly as it will fill up with the water you’ve taken from the air. Now comes the part when you have to wait and check if mold does grow. You’ll see the mold as you’ll notice the discoloration of your walls or ceiling. You’ll probably smell it too, as the odor will be earthy and foul. If you notice mold, then you’ll have to work that bleach solution again so you can kill the mold spores. You can then wait for the surfaces to dry before you put back all of your carpeting, furniture, and appliances. Before you put back your carpets though, make sure they’ve been cleaned by a pro first. As you may have noticed, there will be a lot of work to be done. What’s more, it’s going to be difficult to do all these things by yourself as you need lots of help and you’ll probably feel a bit dazed and traumatized. A professional can do this job quickly and efficiently, and they can make sure to remove or even prevent mold growth in the future. For professional, trusted, & reliable mold prevention services, call us at Rescue One Restoration today and we’ll be on our way.